When you are searching for a beginning cleansing kit, this is as simple as you can get. If you are new to cleansing and would like something simple and easy to use, the “Essential Colon Cleansing Kit” is as simple as it gets. We find that when something is easy and simple to follow, most people actually do it! Oxy-Detox is your leading product to prepare the body to dump its toxins. It will cleanse your digestive tract and prepare it for the next step. Indigest Free is then taken next with meals to assist in the breakdown of new food coming into the body. This will greatly aid in the digestion process. If you don’t digest what you eat this can create a challenge to your immune system, white bloods cells have to further break down what you do not digest. Primal Defense is then used to inoculate the digestive tract with many new “friendly” bacteria. 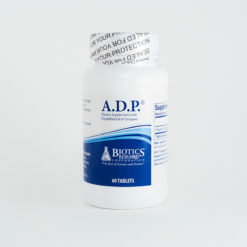 It contains aggressive soil-based micro-organisms to further support the immune system. Don’t leave out this most important part of your basis cleansing, probiotics are a must to every cleansing system and primal defense is here to save the day!